Read the research on developmental dyslexia and you will soon know better about how the brain learns to read. You also get an idea about what’s happening when it can’t. For over a decade, I have waded through the literature on dyslexia. Books by Shaywitz, Dehaene, Wolf, Seidenberg and Kilpatrick fill my bookshelf and influence my work with children and the training programs I run for teachers. These authors are academics and reading researchers. I imagine that they despair, like I do, at how slowly the science of reading is making its way into classrooms and intervention programs for students with dyslexia. Known widely as the research to practice gap, this is a very real problem for Australian students. This article originally appeared in our Term 1 print issue. Did you receive your copy? Click here to read the full magazine online. Despite consensus between reading-scientists about how to teach reading, and what works best when teaching students with disorders of reading like dyslexia, the education marketplace remains awash with an overwhelming range of so-called ‘treatments’ or ‘cures’ for dyslexia that claim to be evidence-based (of course they do), but on closer scrutiny do not stack up against the science. Many of these approaches promote scientifically disproven methods that are damaging to all students, particularly those most vulnerable, the one-in-five learners who live with dyslexia or dyslexic-type learning needs. Instead of bagging what doesn’t work, let’s investigate what does work. The consensus from reading science tells us that the best results comes from Structured Synthetic Phonics (SSP). SSP is nothing new because our writing system is based on sounds and letters, so of course, systematically teaching learners the relationships between sounds and letters is important. Sadly, SSP was dumped from teaching through the 70s and 80s in Australia and elsewhere. It was shunned as old-hat and traditional and some of this shunning continues. Fast forward 20 years to the naughties and Australia, the US and the UK started looking for reasons why too many kids were failing at reading. Each commissioned an enquiry: the U.S. set up the National Reading Panel (2000), the U.K. commissioned the Rose Report (2006) and here we had the National Inquiry into the Teaching of Literacy (2005). What did they find? Structured, Synthetic Phonics had the strongest support from the research and beat Whole Language and its equally ineffective offspring Balanced Literacy hands down. As you’d expect, these less effective approaches disappeared from the literacy landscape overnight and literacy started improving immediately! Structured: means teaching the elements of our language in a logical order of letter-sound correspondences, syllable types, spelling rules, grammar and morphological concepts. Synthetic phonics: is teaching that promotes the synthesising (blending together) of phonemes (single sounds), that are represented on paper or screen by graphemes (alphabet letters or groups of letters) to make a word. You’ve already worked out that decoding (sounding out) is the go-to strategy to read unknown words instead of guessing from pictures, context or the first and last letters in a word. As it turns out, this ‘guessing game’ approach to tackling unknown words is intuitively used (unsuccessfully) by our weakest readers, but is unbelievably still promoted by Whole Language and Balanced Literacy proponents who didn’t disappear, or change their practice, after three enquiries showed that their methods were just poor teaching! Now there’s a bit more to this. Added to these structured, synthetic phonics elements, things go better when students are taught in a way that is cumulative – meaning that the skills being taught to the structure build up logically. The learning is multi-sensory – tapping into visual, auditory and kinaesthetic memory systems. Simply put, whenever possible, students do tasks where they see (the letters and words), hear (the sounds as they say them out loud) and write (feel the letters form as their hand writes them), all at the same time. This provides greater anchoring of new learning in long-term memory. When it comes to intervention for struggling readers, all the above components are used. However, progress through the teaching structure moves at the pace of individual students and incredible amounts of practice and revision are provided to take students to the point of overlearning. This is not a quick fix, it is fine-grained and thorough to ensure progress. Students are withdrawn from normal classes for this instruction for a minimum of an hour a week and, at the intensive level, work individually or in pairs with a specially trained adult. There are a growing number of Australian schools that fund this model of intervention for their most-struggling readers without any additional funding. This is a choice they make. Those who rebut with ‘we don’t have the funding for this’, are usually the schools wasting money on programs that have low effect sizes on student learning. In other words, they are poor consumers. If you are thinking that this way of teaching must demand a high level of teacher knowledge, you are correct! There is simply no getting around this. 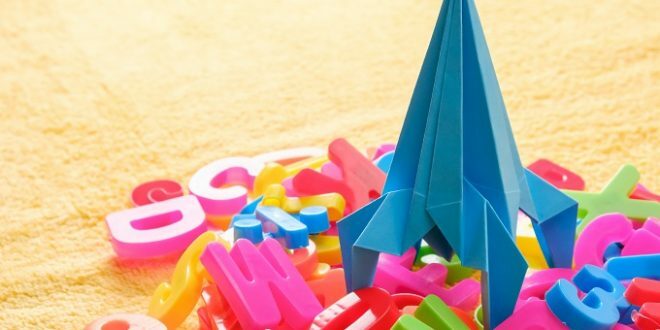 Reading researcher Louisa Moates says: “Teaching reading is rocket science.” I wish to add that reading intervention is a special type of rocket science. This type of intervention requires specialist teachers who are specifically trained. 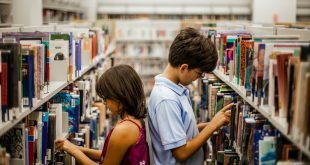 The science on how to teach all kids to read, and how to intervene when they fall behind has been around for about 20 years. There is conclusive agreement on what works; there are no arguments. Do not be told otherwise. My colleagues and I live in hope of the day where SSP is a mainstay of teaching reading and reading intervention. Until then, we will continue to bang our drums loudly, teach anyone willing to listen to us, and use the science to help our most vulnerable learners, because they deserve it. 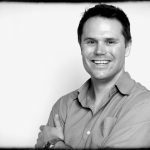 Bill is co-director, Fullarton House - assessment, therapy and teaching, South Australia, as well as an author, speaker, specialist dyslexia teacher and trainer of the Teaching Students with Dyslexia (TSD) courses. Next Schools are asking students to bring digital devices to class, but are they actually being used?